Welcome to another week of Playful Preschool where a group of preschool bloggers share fun, hands-on ways to teach preschool concepts. 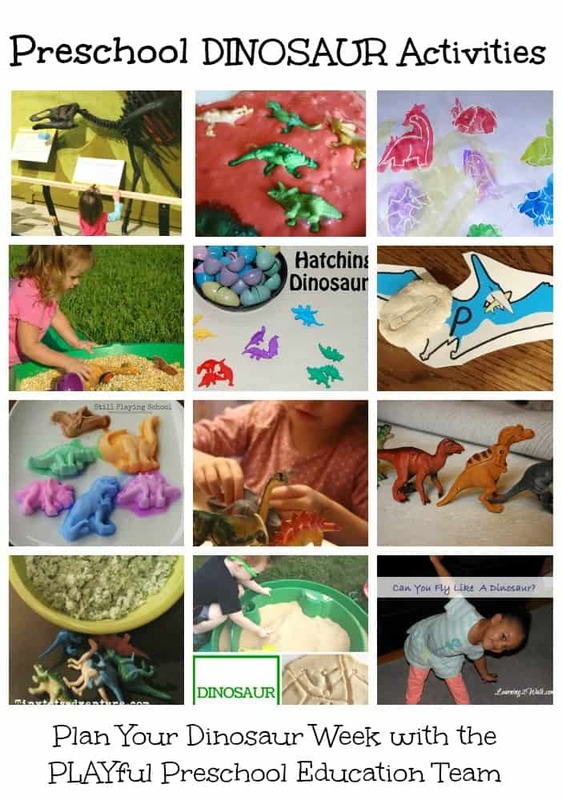 Today’s preschool lesson plan is dinosaurs and our dinosaur gross motor skills activites are adapted from the book The Littlest Dinosaur’s Big Adventure by Michael Foreman. Let’s walk. In the story, the littlest dinosaur becomes fascinated with all he sees and eventually gets lost. We decided that it would be fun to move the way he does and imagine what it would look like if J were the littlest dinosaur. In the beginning of the story, the Littlest Dinosaur was sitting by the river with his feet dangling in the water. To do this activity, I found a lily pad template, copied, and then placed them on the floor for J to walk carefully from one lily pad to the next. 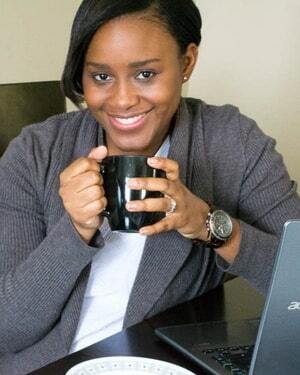 I then re read the scenario and she did the actions. Close to the end of the story, the Littlest Dinosaur is flown back to his family by a Pterodactyl. J decided to imitate the Pterodactyl. How Does a Dinosaur Eat? For this we gave J a bowl of lettuce to be a plant eating (herbivore) dinosaur and told her she could not use her hands to eat. How Does a Dinosaur Run? J had to go on all fours and run like a four legged dinosaur would. How Does a Dinosaur Dance? 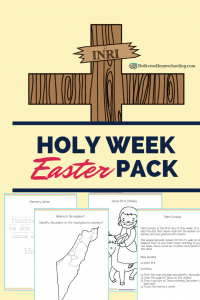 We got silly for this activity. J decided that she wanted to dance like a dinosaur. 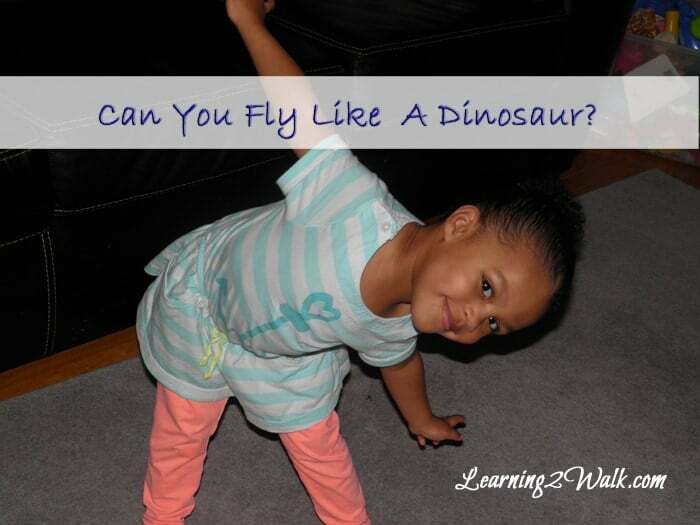 Can you think of any other ways to move like a dinosaur? Let me know in the comments. 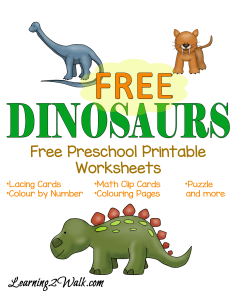 Don’t forget to grab your FREE Dinosaur Printable Worksheets! What great movement ideas. These would make great transitions too… AKA Fly like a Pterodactyl to the dinner table! I never thought of that Amanda! She is adorable! What a creative way to get moving! My boys love STOMPING like a dinosaur! We’ll have to try dancing next! It looks like your daughter had a blast trying out all the dinosaur movements. Our children would want to jump right into this scene and play along. In answer to your question, I imagine you could add the mass of the dinosaur into the movement activity and play around with the differences between large and small dinosaur movements (or dinosaurs vs. mice etc). My son would LOVE this. Great way to move and learn! Right now we’re sleeping like a dinosaur. Can you swim like a dinosaur? I like this and will use this quite a bit for getting the girls to do things such as brushing their teeth like dinos. 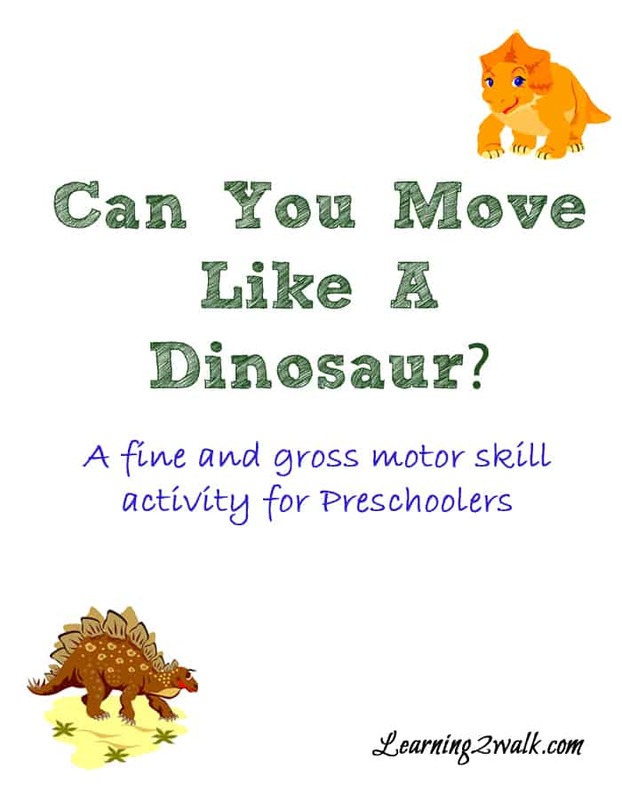 Fantastic movement activity – reminds me a little of a book my eldest had as a baby which was “Say Hello to the dinosaurs” where various dinosaurs moved differently, one stomped, one roared, another swished their tail and one blew bubbles was a fantastic book and would work so well with this activity. My little one would love all these movements. Thanks for sharing! 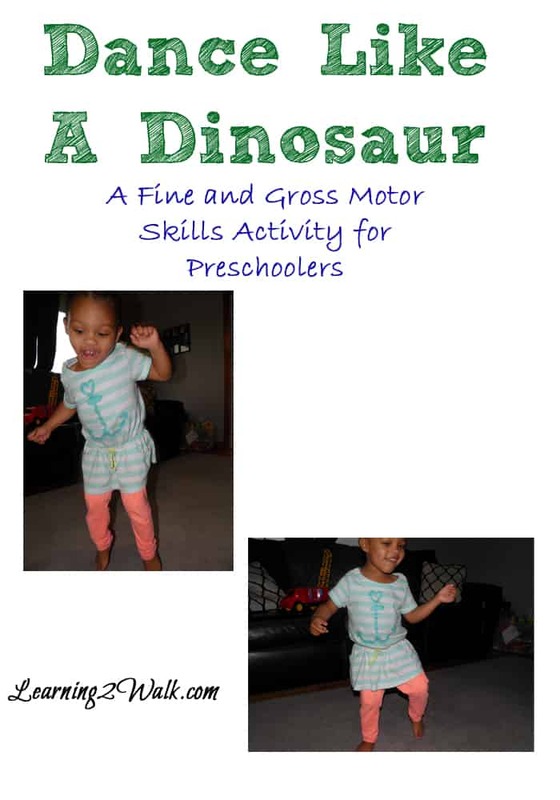 These are great gross motor suggestions! MOVING and learning….doesn’t get much better than that!